On Monday morning a group of 25 strangers gathered in front of the lambing barn at the UC Hopland Research and Extension Center. “If you survive the week, you'll be in a rare group” commented John Harper, Livestock and Natural Resources Advisor to the class.  This heralds the beginning of the sheep shearing school, an intensive week long class, which is so eagerly anticipated that space on the class was filled in just 6 minutes from the opening of online registration. The participants are varied and have traveled from as far afield as Washington, Virginia and Texas. As they introduce themselves they explain their motivations for joining this class and a common theme begins to emerge “there's just no one else to shear my sheep”. Many of the participants work with smaller sheep flocks and it is not economical to employ traveling shearers, used to shearing flocks or hundreds or thousands, for just a few sheep. These small flocks are increasing across Mendocino County and the need for qualified shearers who are sympathetic to the needs of small producers is high. The group mix might surprise some, with over 20 female participants and number of the group using vacation from their “day job” to attend this class including a tax accountant, fashion designer, environmental restoration consultant and an art gallery manager. During the introduction it is made clear to all that shearing is not as easy task “a full day of shearing is equivalent to running a marathon” completed Harper as he led the class into the barn to get started. 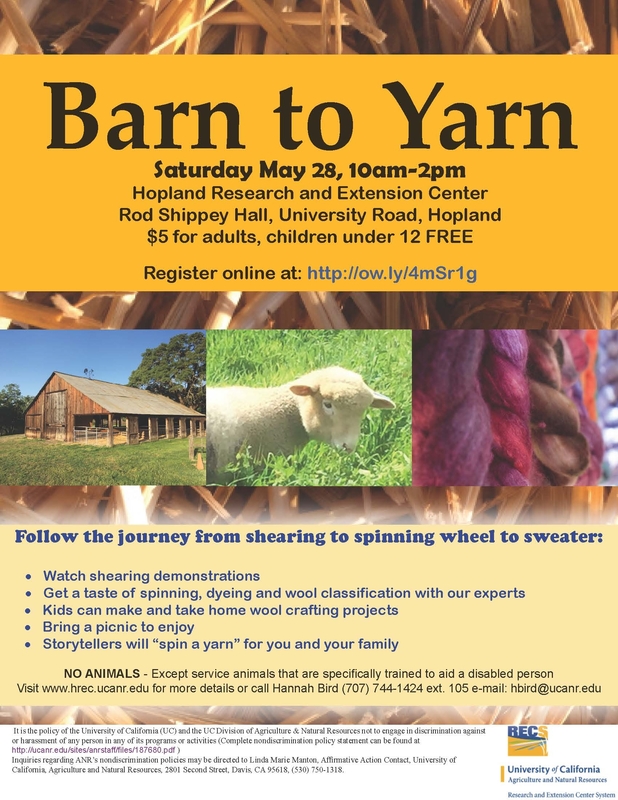 To get a taste of the entire process from sheep to scarf, HREC invites the community to their 3rd annual Barn to Yarn celebration on Saturday, May 13th. There will be displays and demonstrations from herding sheep with a sheepdog, performed by Kevin Owens from the Redwood Empire Sheepdog Association, to shearing, knitting, felting, spinning and weaving. 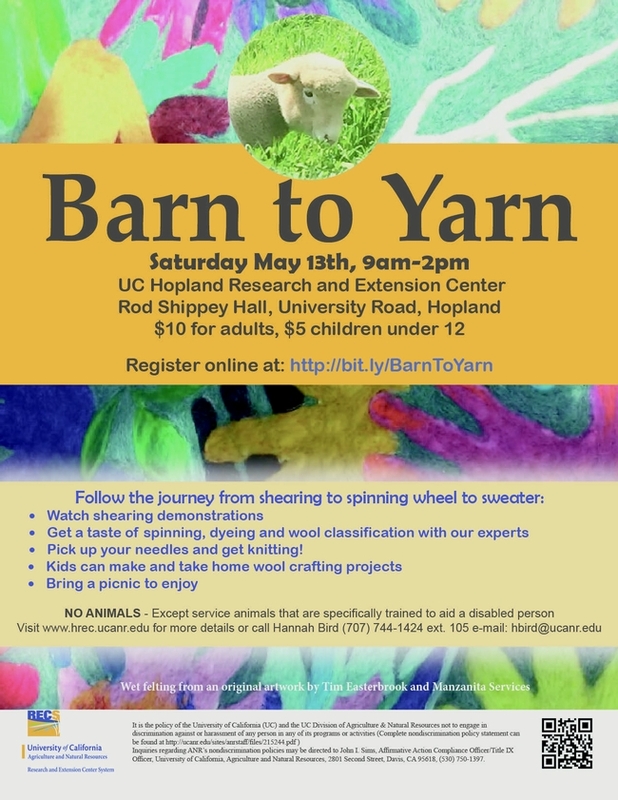 “Our amazing team of experts and volunteers will help attendees at Barn to Yarn to try their hand at working with wool – this is such a great day for all the family from kids to the committed fiber artist. We'll even be creating a beautiful shawl in the 5 hours of the event which will be offered at silent auction through the day. What could be a better Mother's Day present?” added Bird. Guest of honor, Jean Near (102) will be adding to the event with stories of over 100 years living in Mendocino, ranching merino sheep which are prized for their wool over many of those years. Admission is $10 for adults, children under 12 $5. HREC asks visitors to leave their pets at home to protect the site and the sheep resident there. Bring your own picnic and all utensils; tea, coffee and water will be available. Visit http://bit.ly/BarnToYarn to find out more and purchase your ticket. 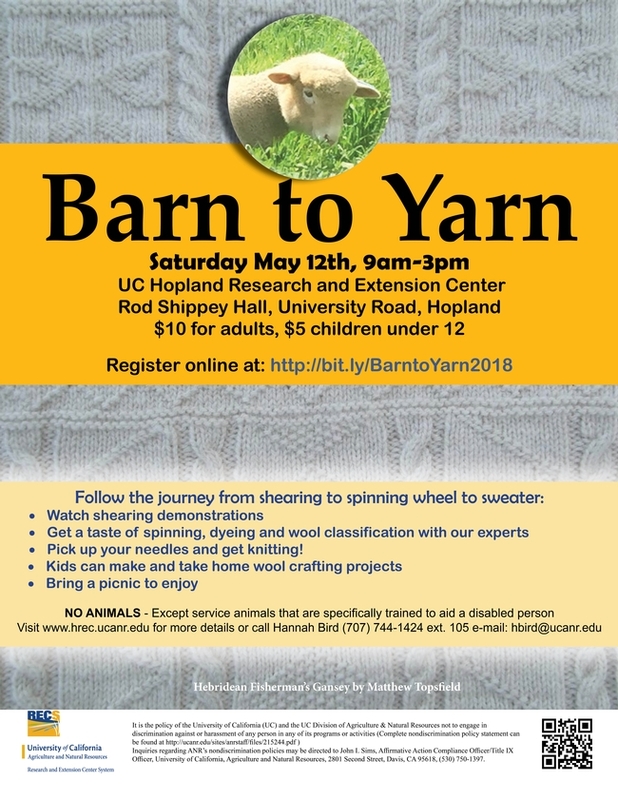 Barn to Yarn will be held at the Rod Shippey Hall, 4070 University Road, Hopland, CA 95449 from 9am-2pm on May 13th. For more information contact Hannah Bird, (707) 744-1424, Ext. 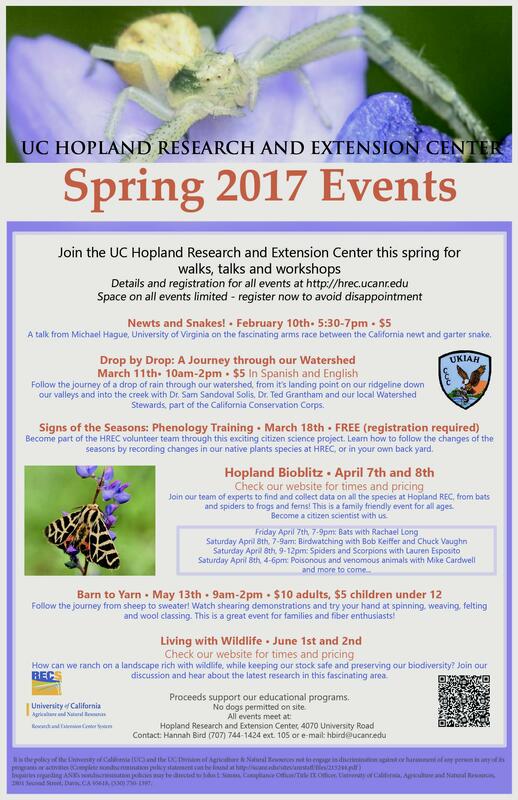 105, hbird@ucanr.edu. We are so fortunate to have had Dana Burton join our team over the last few weeks, interning on a variety of our educational projects - here's a note from her! I am Dana Burton. I was raised in Los Angeles, CA. Currently, I attend University of California, Davis majoring in Environmental Science and Resource Management and interning at the Hopland Research Extension Center for the summer. Here at HREC, I've been able to help on many projects such as the "Sheep Stories" a tour of Mendocino County libraries. Also, I have been fortunate to experience many different habitats and wildlife as I work on the Shippey Hall Museum drawers. 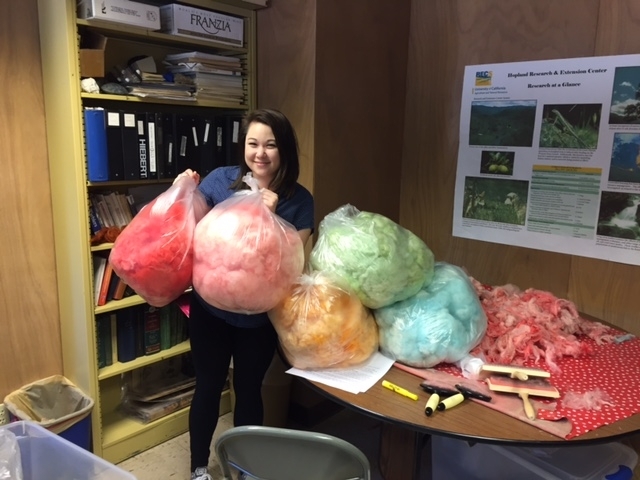 Dana worked hard to prepare raw fleeces (straight from the backs of our sheep) into brightly colored, clean wool for our educational projects! As she commented during the process "I've never even touched a sheep before!"